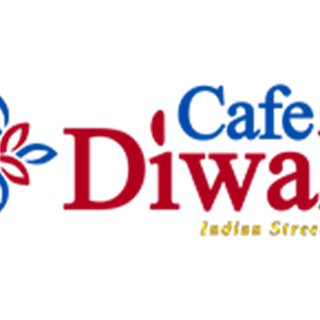 We are Cafe Diwali serving Indian street food and craft beers in the heart of Salisbury. All our food is sourced locally and we use fresh ingredients to create all our dishes. We pride ourselves on our way of serving and presenting the food and hope to create a style of cooking that hasn't been seen in England previously, making Cafe Diwali a truly authentic taste of India. Excellent food. Some more vegan options please. Oh, and chapattis to have with the fantastic dal tadka. Exceptional food and service as always. Lunch to celebrate my friends birthday, lovely food and friendly service. Good value. Love this place and have been a number of times. Would highly recommend to go and try yourself. Great food and atmosphere. I eat at this restaurant once a month. It’s constantly excellent in all aspects of service, quality of food and a great experience. Love coming here and really look forward to our visits once booked. Have recommended before to all our friends, colleagues and family over the last few years. Really looking forward to another visit. Lovely meal and service, and atmosphere, but because it was busy we did wait quite a long time for our food. Always lovely food, quick, friendly service and nice atmosphere! Amazing food in a fantastic cafe. One of my favourite places to eat in Salisbury. We loved eating  at your place. The starters were excellent. The main choices were limited and choose the wrong dish. Did not find it spicy or with much taste.was quite buttery. Over all the service was excellent. Sunday visit. Food was pleasant. Atmosphere was fine. As a couple, we ordered two starters and one main (all to share) however it took 50 minutes to arrive at the table, despite us being one of only three groups in the restaurant. The price did seem fairly expensive given what we ordered. Great food, good sized portions and great service, would definitely recommend! Our favourite Salisbury restaurant. REAL FOOD! This was my first visit to Cafe Diwali and I couldn’t have been more impressed. Every dish was packed full of layers of flavour and clever spicing. Even the pilau rice was the best I’ve ever had. The staff were friendly and very efficient considering how busy the restaurant was. I can’t wait to visit again. Delicious food. Great children’s butter chicken, even my fussy grandchildren ate it all! Perfect dining experience as always. See you again very soon! !